Miriam Gómez-Morán plays Feldman's "Piano Piece (to Philip Guston)"
Miriam Gómez-Morán Miriam Gómez-Morán is a Spanish pianist, fortepianist and harpsichordist. Born in Madrid in 1974, she started studying piano at the age of eleven at the Real Conservatorio Superior de Música de Madrid. Her teachers were Carmen Deleito and Manuel Carra. She attended the harmony classes of Jose Luis Turina and Jose Maria Benavente. From 1992 to 1996 she pursued postgraduate studies in Budapest at the Liszt Academy of Music under the guidance of Ferenc Rados. She then went back to Spain and taught for two years at the Music School in Villacanas (Toledo), before going to Freiburg im Breisgau (Germany) to study historical keyboard instruments at the Hochschule with Robert Hill and Michael Behringer. 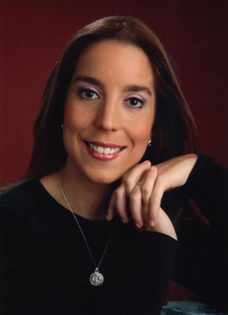 Since November 2000 she has been a Piano Professor at the Conservatorio Superior de Música de Castilla y León, one of Spain's leading music-pedagogical institutions. She also teaches masterclasses and is the author of several articles on music. Miriam Gomez-Moran performs and records extensively both as soloist and in chamber music ensembles in Europe and North America. Further details can be found on her SoundClick site. The performance below was recorded live on a Steinway D piano at the Juan March Foundation, Madrid, on October 23rd 2007. The recording is made available here by kind permission of Miriam Gómez-Morán.